Two women stole a pack of syringes from a pharmacy at a Reston supermarket yesterday evening, injuring an employee who tried to stop them, according to Fairfax County police. 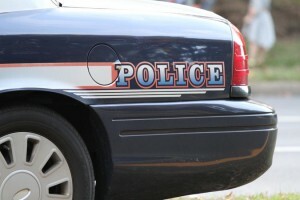 The incident happened at the Harris Teeter on the 12900 block of Highland Crossing Drive about 7 p.m. Wednesday. Police said the women attempted to buy syringes from the pharmacy worker, but they didn’t have authorization to make the purchase, according to authorities. One of the women then hopped over the counter, snatched a pack of syringes and fled with the other woman. The pharmacy employee attempted to stop the thieves, but was pushed away and received a minor injury. One suspect [who] was described as white or Hispanic. She weighed approximately 110 pounds and was wearing dark leggings. The second suspect was described as black, about 5 feet 9 inches tall, weighing approximately 200 pounds.